Halloween Ideas? Decorate your home! Halloween has taken over our house! There are flying bats, climbing spiders, and pumpkins galore! Shadow silhouettes fill my windows each evening for neighbors and "turn around drivers" to enjoy a spooky sight. I will share my other house treats and home decor this week. Having a party? I hope you willl enjoy some of the massive ideas and generate some of your own. Some of these projects will be remembered from last year, but the majority of my inspiration came from magazines and pinterest. Fall is my FAVORITE time of the year. I love spending time at home and gazing at the gorgeous fall leaves this year! Bite Me! Bat and Cat Style! Time to decorate! Are you ready for trick or treaters? Halloween is for all ages. I can remember my mother dropping us off in my aunt's neighborhood where they would give the full size candy bars! It was awesome! Seeing the kids' costumes was the next phase of my Halloween memories. This phase is my FAVORITE! I help Hayden choose his costumer every year, and we join neighborhood moms and walk the cul de sacs and sidewalks in our neighborhood as our boys run quickly from house to house. It is always a great night! I might have to get this BITE ME, Polymer stamp set from Stampin' Up! to decorate the treat bags I will create for the local boys. This set would also be great for making party favors, co-worker treats, neighbor Boo bags, and teacher appreciation treats. Can you say sticky? (Don’t worry – in a good way.) These stamps stick amazingly well to our clear blocks. Wow! What a night! The streets were packed with kids in our area. We started at dusk and traveled more than two miles on foot. Visions of candy blocked any complaints of being tired, cold, thirsty, or hungry. Yea! Hayden and his friends kept momentum all night, and I was so proud! Crowds of costumes filled the sidewalks and yards, so we were entertained beyond candy. I was impressed with the large number of neighbors who left bowls of candy on the front porch for kids to raid. That gesture was super exciting for Hayden, and I reminded and watched as he only grabbed a couple pieces to share the rest with others. Another proud moment! When we returned home, each boy emptied his sack and we traded favorites among the piles. Hayden asked for Skittles and Swedish Fish. Moms joined the fun, so I requested Bottlecaps and 100 Grand bars. We hope you enjoyed a Happy Halloween! November is sure to bring many more treats and fond memories! Hayden learned that each groove of a pumpkin represents ten pumpkin seeds. He estimated 280 seeds filled his pumpkin. Wow! Hayden struck this pose in honor of the Headless Horseman cartoon movie we watched this weekend. May your evening be SPOOKTACULAR! NOTE: THIS IS THE FINAL DAY TO RECEIVE A FREE BIG SHOT OR $100 SHOPPING SPREE FOR JOINING STAMPIN' UP! ONLY 2 DAYS...BE A BIG SHOT, BABY! Cones, pouches, ornaments and more can be created using the Petal Cone BigzL die with the Big Shot machine. Don't own one? NOW is your chance! This cool tool is FREE to new Stamp Studio H team members/Stampin' Up! demonstrators. With the Big Shot you can create die cuts with exclusive Stampin' Up Dies or Dies made specifically for this machine. Die cuts, 3-D shapes, and alphabets are perfect for card making, scrapbooking, papercrafting, home décor, and celebrations. The Big Shot includes standard cutting pads and a multipurpose platform so you can start cutting immediately. The Petal Cone BigzL die was used to create the project in the photo. If you own the Big Shot, you can enjoy a $100 shopping spree as a new demonstrator this month. Time is running out....Halloween ends this super special deal! Call or email me if you need assistance or have questions. CLICK HERE to learn more about becoming a Stampin' Up! demonstrator. Be sure to contact me before you order, so I can share some special instructions for this offer. We started the "Boo" bags in our new neighborhood this year. I decorated brown sandwich bags and tissue paper with stamps; and Hayden filled them full of treats. You can see the poem and mini poster we used by clicking THIS LINK. The neighbors have enjoyed "boo-ing" each other and hanging the posters in their window. Near sunset each night, we have seen neighborhood children running after leaving treats on doorsteps and ringing the doorbell. We might have to research a Thanksgiving tradition because this is just too fun! Think how your co-workers, children's teachers, neighbors, and friends would enjoy this fun. It is a fast and easy game to share a smile during this spooky time of year. Go for it! For the twins 8th "Boo-rthday", Jennifer asked me to create invitations and theme events for their party. All products are Stampin' Up!, except for the glitter spider. What a GREAT DAY! Guests were greeted at the Welcome Table and given a personalized Bat Bag to collect party crafts and treats. We also created a Bingo card using the word PARTY, and it was created using the My Digital Studio program. Guests were invited to guess the number of candy corn in a jar, and the winner guessed the exact number! What a lucky boy! Party crafts included a candy corn box of candy corn colored taffy; spider lollipops, a candy necklace, and a pumpkin or monster stick. Entertainment featured the Spooky Eyeball Toss, Jack-O game, Party Jumper, and Halloween Birthday Pinatas. Guests enjoyed birthday cupcakes, prizes, treats, and Halloween Handout games. Everyone dressed in fun costumes. Hayden was Darth Vader from Star Wars, and I was dressed as a Twister game girl. The yard was filled with children, excited to celebrate the boys' birthday! As guests departed, they were asked to check the Lost & Found box. Ghosts and pumpkins lined the entrance/exit. Parents bid farewell to their Parent Lounge area to prepare for the evening's family dinner. This celebration was a fun, crafty, carnival theme the kids will never forget! Jennifer and I enjoyed planning it and watching the happy birthday boys and guests. Who knows what we will do next year? 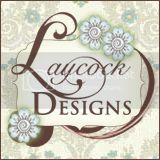 Would you like to create or order handmade invitations, cards, tags, or gifts? I am available for custom services with two weeks notice prior to the mailing date. Prices vary depending on the project. Contact me for more information. I can also help you create a design to make the projects yourself with Stampin' Up! products! Look for PMS Crop dates in November! Guess what I am doing today? Riding a school bus with first graders! We are going to a nearby pumpkin patch. I don't mind the cold forecast, but I am hoping the rain will finish and move to another area soon. This weekend, my Open House guests enjoyed receiving and creating projects. This pumpkin mini treat was a quick and easy project they look forward to sharing with others. Benefits to this project is the sweet small size, inexpensive supplies, and simple fast assembly. To create the pumpkin, I embossed the cardstock and folded six scallops in a line. Adhere the folded parts to create a base to the pumpkin. Punch a hole in the top and tie ribbon in a knot. I suggest a candy pumpkin, Reeses Peanut Butter Cup, or lollipop (turned upside down to reveal a handle at the top of the 'pumpkin stem') to fill this fun treat. To celebrate my birthday, I decided to share my love of stamping with local friends, crafters, and new friends. I am pleased to announce and invite you to attend October Stamp Studio H events! Check your calendars and RSVP soon, so I can prepare project kits to WOW you! Your friends and family are invited. Come one, come all! Let's have fun this fall season! Be sure to RSVP no later than 48 hours before the class begins.